A bold claim? Yes. But this book is based not only on my 35+ years in Supply Chain Management, but also the last 20 years assisting hundreds of organisations via my Supply Chain consulting business, Logistics Bureau. This was the first book in the series and is based on looking back over those years and hundreds (now 1,400+) client assignments from all around the World. And then selecting the improvement areas that made the greatest difference to those client’s Supply Chains and businesses. So this book really is packed full of the ‘Secrets’ to Success that have worked over the years with hundreds of organisations around the Globe. 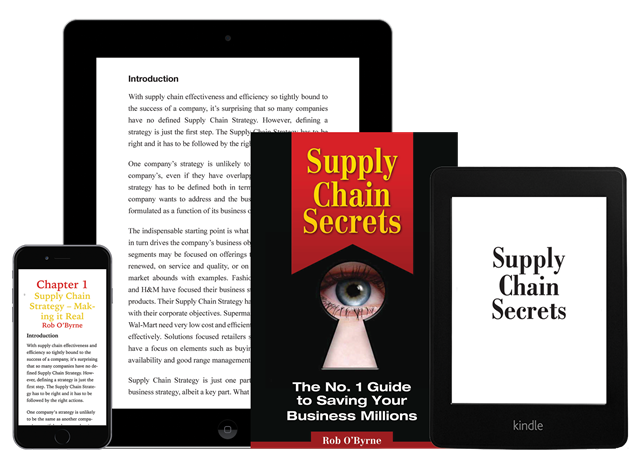 Even if you are new to Supply Chain Management, this book will make perfect sense to you as it’s written is a very easy to understand style. So that you can quickly apply the tips we provide to your own organisation! This is not overly theoretical or academic. It’s full of practical tips and insights that actually work. Chapter 4 – Is there a Doctor in the Warehouse? There Should Be! Chapter 5 – Transport – The Four Biggest Mistakes Businesses Make When Buying Transport Services. Chapter 7 – Successful Outsourcing – Why, How, Who? Chapter 9 – Measuring Performance – The Right Way. As with all our books, we provide a range of free bonus downloads to help you understand and apply this knowledge. 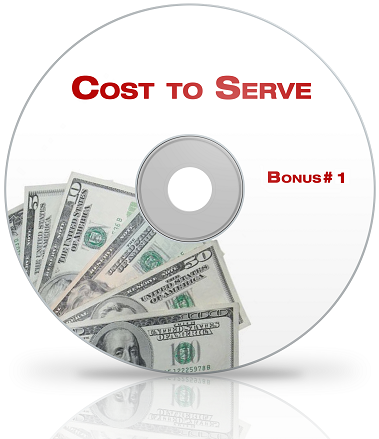 This easy to follow presentation uses simple technology and examples to help you understand cost to serve, like never before. This guide uses a case study example to explain how warehouse location decisions implant the end-to-end cost and service performance of the Supply Chain and how expensive warehouses can actually pay off in the long run. Receive a presentation transcript, complete with slides, as Rob shares his insights gained from working with some of the world’s leading corporations.